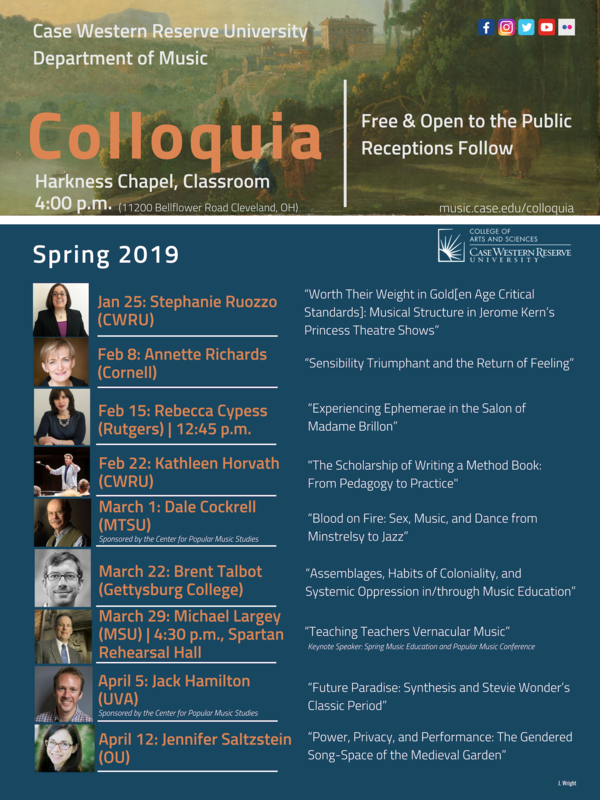 Department of Music Colloquia provide a weekly forum for presentation and discussion of recent research by distinguished visitors and by CWRU faculty and graduate students in musicology, historical performance practice, and music education. Colloquia take place on Fridays at 4:00 p.m. in Harkness Chapel, Classroom (except where noted). All are free and open to the public. Receptions follow.